The Handyman specialise in Painting and Waterproofing Services in Cape Town. Painting Services Cape Town Handyman Contractors Cape-Town. Painting Contractors, Painting Contractors Cape Town, Paint Contractors Blouberg Strand, Painters Stellenbosch +27 82 372 6574 offers entrepreneurial painters painting contractors nation wide in South AFRICA. We work with a wide selection of experience and skilled people who are eager and willing to work. Our commitment is to our clients and to provide each customer with a quality paint work. Each job is different and each client requires unique painting techniques. With over 16 years of hands-on painting experience in the painting-and-waterproofing industry, we’ve become master painters. For each of the areas, suburbs and provinces that we contract into paint service jobs, we seek the local and trusted traders and job agencies to find trustworthy and reliable people to work with. It is always our goal and mission to make sure we deliver good paint decorators. Over the years we have developed strong and solid relationships with all our South African paint manufactures and supplies nationwide. We are confident that we can match and beat everyone’s paint prices. Our decision to make the best assessment in giving you the best possible quotation will be based purely on our clients choice on the cost of paint, quality of paint, our client preference, budget and affordability and looking at the size of the job. We will give you your quotation based on the above facts. Don’t hesitate to give us a call because we can help you. We offer our painting services to residential, commercial and home owners. Below you will find all the areas and paint specifics of our painting business. In order for us to give you an accurate quotation we will need to ask a few questions. We normally liaise with all the paint and water proofing details via email or via telephone. We also respond to sms, whatsapp and most other forms of communication. 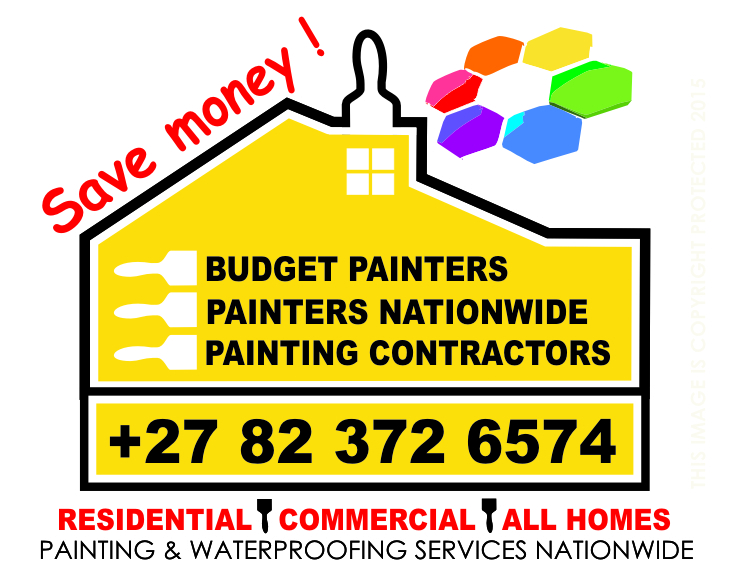 Painting contractors bredasdorp, painting contractors Worcester, paint contractors somerset west, painters hermanus, painting contractors hemanus heights, painters Seapoint, painters Greenpoint, painting contractors tamboersloof, painting contractors table view, painting contractors parklands, painting contractors Edgemead, painting contractors century city, painting contractors Bothasig, painting contractors parow, painting contractors goodwood, painting contractors durbanville, painting contractors Durban, painting contractors paarl, painting contractors brackenfell, painting contractors kenride, painting contractors Bellville, painting contractors caledon, painting contractors ceres, painting contractors grabouw, painting contractors saldana bay, painting contractors melkbosstrand, david matthews painting & waterproofing contractors cape town, painting contractors malmesbury, painting contractors malmesbury, painting contractors gordons bay, painting contractors Campsbay, painting contractors camps bay, painting contractors hout bay, painting contractors Kenilworth, painting contractors Newlands, painting contractors kirstenbosch, painting contractors Rondebosch, painting contractors maitland, painting contractors observatory, painting contractors monta vista, painting contractors plattekloof, painting contractors Welgelegen, painting contractors bantry bay, painting contractors mitchells plain, painting contractors muizenberg, painting contractors kommetjie, painting contractors simonstown, painting contractors elsies river, painting contractors montague gardens, painters hermanus, local painters cape town, painting companies in stellenbosch, commercial painters, house painters cape town, residential painting contractors, house painting contractors cape town.